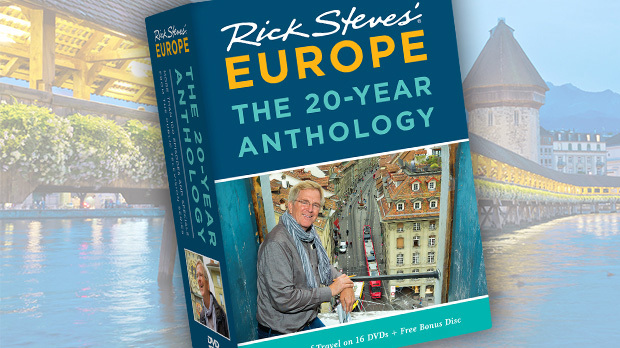 Intriguing Dresden, Germany, winds up on far fewer American itineraries than it deserves to. Don't make that mistake. Since its horrific firebombing in World War II, the city has transitioned to a thriving cultural center that's well worth a visit. Even with only a day to spare, Dresden is a doable side trip from bigger attractions like Berlin or Prague. The burg surprises visitors with fanciful Baroque architecture in a delightful-to-stroll cityscape, a history that mingles tragedy with inspiration, and some of Germany's best museum-going. A generation ago, Dresden was dreary, but today it's young and vibrant, crawling with proud locals, cheery tourists, and happy-go-lucky students who have no memory of communism. Even so, Dresden's heritage of destruction is hard to ignore. 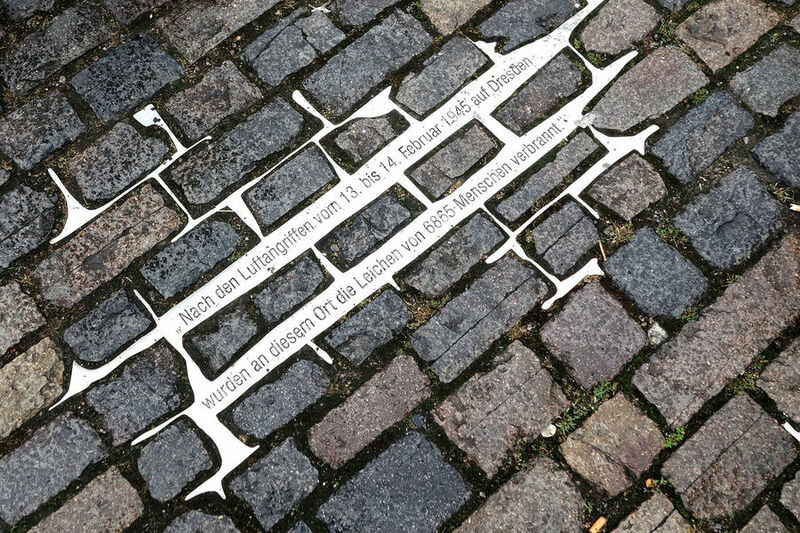 I'll never forget standing on the Altmarkt square in the Old Town…it seemed like just another square. 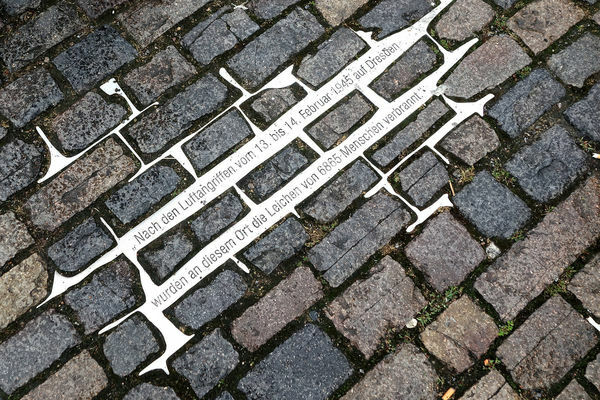 Then, looking down at the cobblestones, I saw an inscription that reads, "After the air attack on Dresden on February 13–14 1945, the corpses of 6,865 people were burned on this spot." Carved on a piece of granite above that was a simple statement: "Thus the horrors of war, unleashed by Germany upon the whole world, came back to be visited upon our city." 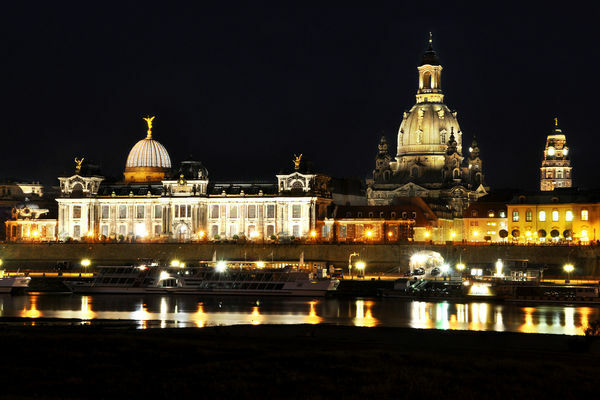 Four eras have shaped Dresden: its Golden Age in the mid-18th century; the city's devastation in World War II; the communist regime (1945–1989); and the current "reconstruction after reunification" era. Each city sight provides a glimpse into this timeline, so I like to weave my sightseeing into a day-long stroll for the most comprehensive and meaningful visit. 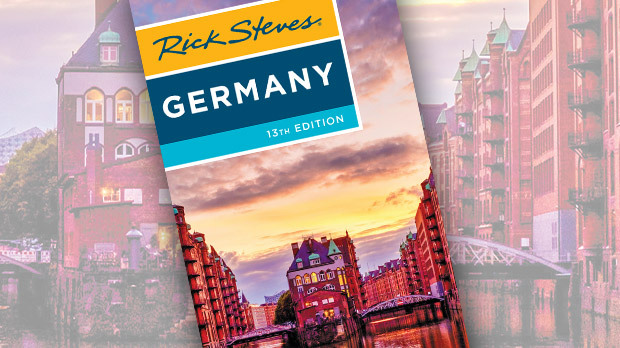 The highlights are conveniently clustered along the delightful Elbe River promenade, nicknamed the "Balcony of Europe." I start at Theaterplatz, the main square and home to the statue of King John of Saxony, a mid-19th century ruler who preserved Saxon culture in Germany. The buildings in this square — like many Dresden landmarks — are reconstructed to resemble their pre-bombing facades. At the head of the square, the sprawling Zwinger palace was once the site of lavish royal celebrations hosted by the Wettin dynasty, which ruled Saxony for eight centuries. Today, this Baroque complex is filled with three museums, including the Old Masters Gallery, featuring works by Raphael, Titian, Rembrandt, and more. The highlight of my day is a stop at the symbol and soul of the city: the Frauenkirche (Church of our Lady). After World War II, the Frauenkirche was left a pile of rubble and turned into a peace monument. Only after Germany's 1990 reunification was the decision made to rebuild it completely and painstakingly. Over a decade and €100 million later, it reopened in 2005. Inside, the circular nave is bright, welcoming, and poignant, featuring a twisted old cross, which had once been the bright golden cross that topped the whole church, but fell 300 feet and burned in the bombing wreckage. Lost until restorers uncovered it from the debris in 1993, it stands exactly on the place where it was found — still relatively intact. The persistence of this cross symbolizes the themes of the church: rebirth, faith, and resolution. The Frauenkirche towers over the Neumarkt, a once-central square ringed by rich merchants' homes. The eight quarters that surround the Neumarkt have been rebuilt to resemble the facades of the original structures, and the area is once again alive with bustling cafés. A statue of Martin Luther holding his self-translated Bible reminds passersby of the Reformation that began in nearby Wittenberg. A short walk toward the water leads me to the end of the Balcony of Europe, where the Albertinum modern art museum boasts a fine collection of work by Gaugin, Monet, Picasso, and Rodin and other Romantic and contemporary masters. Dresden's intense history and remarkable museums can be draining. To unwind after my walking tour, I head over to the New Town (Neustadt), across the river. The bombs missed most of this area, so it retains its well-worn, prewar character. With virtually no sights, the area is emerging as the city's lively people zone that's best after dark, when the funky Outer New Town sets the tempo for Dresden's trendy nightlife. Today, Dresden is rebuilt, full of life, and wide-open for visitors. These streets paint a portrait of the city's highest highs and lowest lows. But in this era of cultural rebirth, Dresden is in its prime.